Rodgers & Hammerstein website offers full descriptions of several popular shows. Advance & promote the special events industry. Prism Tradeshow Lighting is a leading supplier of exhibit lighting solutions for the trade and consumer show industry offering a full line of innovative LED, DMX, Halogen, Fluorescent and Metal Halide lighting products and battery solutions. EventAVision goal is to provide the best results with the highest quality, ultimate technology and competitive prices. Each project receives detailed attention and care, from concept to completion. Revolution Dancewear shares your passion for dance. We sell exclusively to dance studios, providing your dancers with the highest quality dancewear, dance costumes and dance shoes at affordable prices. Best of the Best is a full service event production company in Southern California offering a vast array of products and services including lighting, catering and musical entertainment. 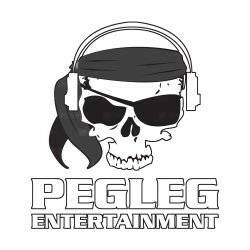 PEGLEG ENTERTAINMENT has been providing quality entertainment to the high school market since 1989. With complete attention to detail, we will make sure your event is provided with the latest in high quality production delivered directly from the Pegleg. Giraffe Inc. is the leading event décor company serving Nevada and California. Providing a wide array of services for trade-shows and conventions, stage displays and photo-backs, theme parties and weddings, we custom design and fabricate all of your event needs. Imagine having all the creative talent, ideas, and resources of Disney on your side as you plan your event. Imagine the possibilities as you create a powerful and memorable experience for your attendees.